So, you’re thinking of visiting Arundel, but not sure what there is to do? Believe us, you won’t be disappointed with this picturesque market town in West Sussex. 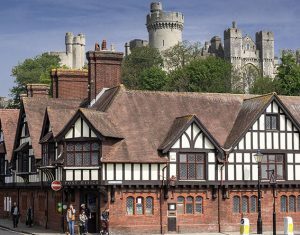 Here’s The Norfolk Arms Hotel’s guide to the top things to do in Arundel. It’s not called Arundel Castle ‘and Gardens’ for nothing. While you can tour the historic castle buildings, see the fascinating furniture, tapestries and rare collection of paintings, you can also take a leisurely stroll through the stunning grounds and gardens, and they are truly beautiful. 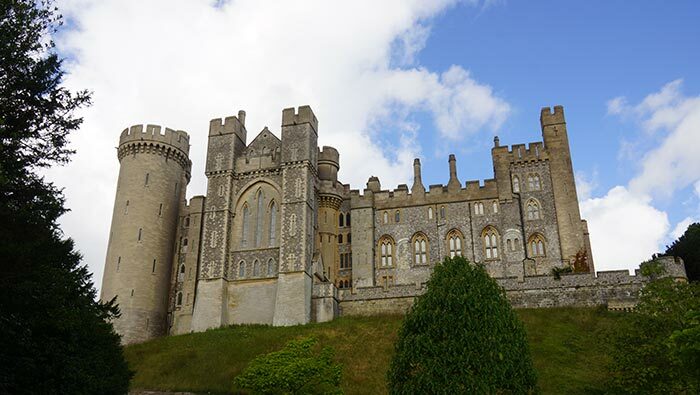 Check out the Arundel Castle website for more information. 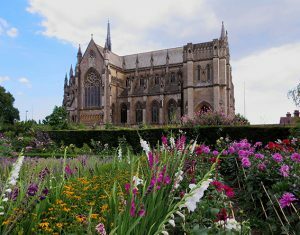 Just a short stroll from the town centre is another historic and glorious sight in Arundel Cathedral. Similar to the castle, the cathedral is an imposing figure from the town. Without claiming to have a feast of activities to keep you occupied for hours, it would be a shame not to visit and admire the architectural beauty. If you’re visiting with the kids, then the Arundel Westland Centre is a must. If you’re not with kids, it’s still a must. Less than a five-minute drive from the centre of Arundel and you could be relaxing on a boat safari enjoying the most beautiful of wildlife. Not a fan of boats? Not a problem, walk along the reed bed boardwalk and view the wildlife beneath Arundel’s crystal-clear waters. Visit the Arundel Wetland Centre website for so much more information, along with prices and opening times. Arundel Lido, located just over the River Arun, is actually more than just an outdoor swimming pool. The word ‘Lido’ is Italian for beach and the Arundel Lido has a relaxing lounge area, refreshments and plenty of activities taking place throughout the year. Unsurprisingly, they are only open from May to September. Check out their website to find out more and keep your eye on our offers page for our Lido package that offers an overnight stay at the Norfolk Arms Hotel and admission to Arundel Lido. Very much like the town, the museum is ‘small and quaint’, but certainly not short of things to do and see. This is the place the learn more about this wonderful town; from the history of the famous castle, right back to millions of years ago when Arundel was covered by a warm Cretaceous sea. Discover artefacts from Roman times and how the Castle Stables provided horses during World War I.
It’s only £3.50 for adult entry and we’d recommend spending about an hour here. Unlike many modern towns and cities, Arundel hasn’t been turned into a high street of brands. The town centre is still full of quaint, boutique shops, where one could easily lose themselves for hours just rambling the streets and window shopping. 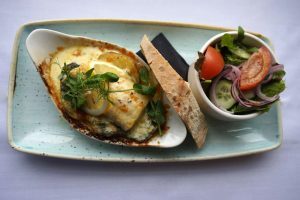 After exploring everything Arundel has to offer, there’s nothing quite like a tasty meal in a nice relaxing setting. A delicious selection of food is just what is required to recharge and refresh. Find out more about our Castle Room Restaurant.